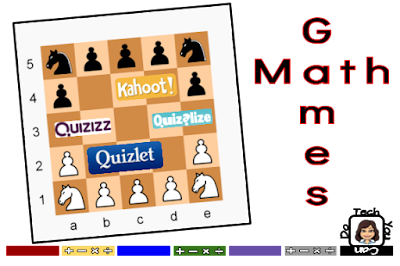 Tech You Can Do: Math Games ... for EVERYONE! Games no longer need to be left to review. 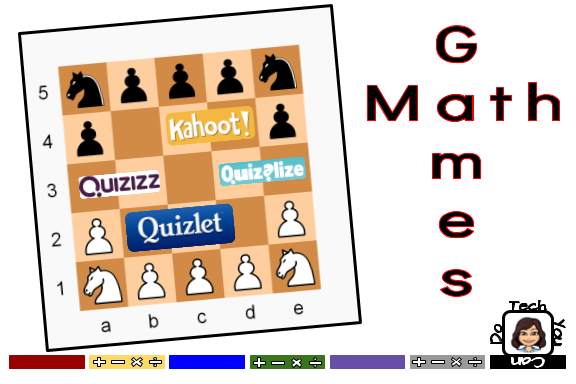 Games can introduce - assess - review - personalize - and so much more. I fell in 💙with Quizlet. I was able to make one "set" of review materials but my students do use it in a number of different ways - and not just digitally. More traditional students could create limitless "tests" (multiple choice, T/F, short answer, matching as options ... modify to your preference); students who enjoy playing games could check out the games; students who preferred paper could print out flashcards - I'd suggest they use mine to make their own - or print out tests. ANY student could try ANY option. So many different options in one little package!!!! After we used it for awhile, students started making their own! HOW powerful! I wanted my students to find what works for them and use it ... in my class and all their others. When they'd tell me how they created Quizlets for another class, my heart swelled with pride. One more to check out ↣ We Are Teacher released an article that is perfect for this post. The Best Online Interactive Games for Every Grade Level. I won't vouch for every game included, but it's a great place to start regardless if you teach kindergarten or high school. Do you have any games that others should check out? Please share!